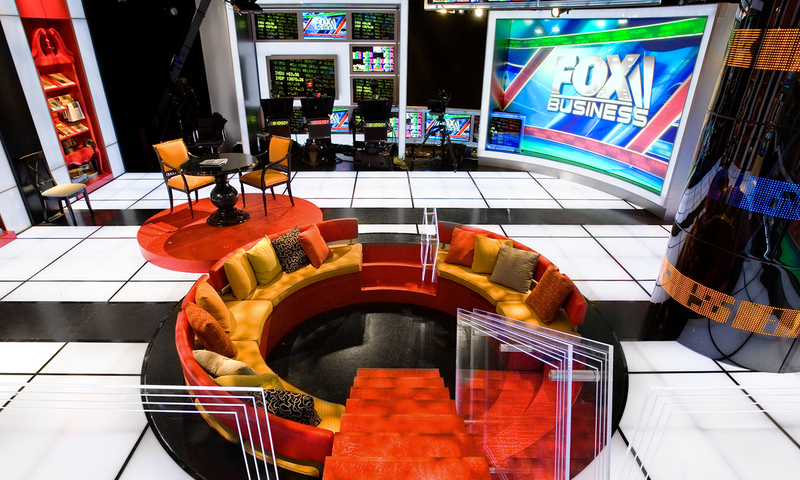 The launch of FOX Business Channel demanded the creation of a state-of-the-art studio in the heart of mid-town Manhattan. Extensive technology paired with a warm color scale, elements of traditional architecture, and soft upholstered furnishings positions the set to reflect the serious nature of reporting on the financial sector yet remain deliberately warm and accessible. 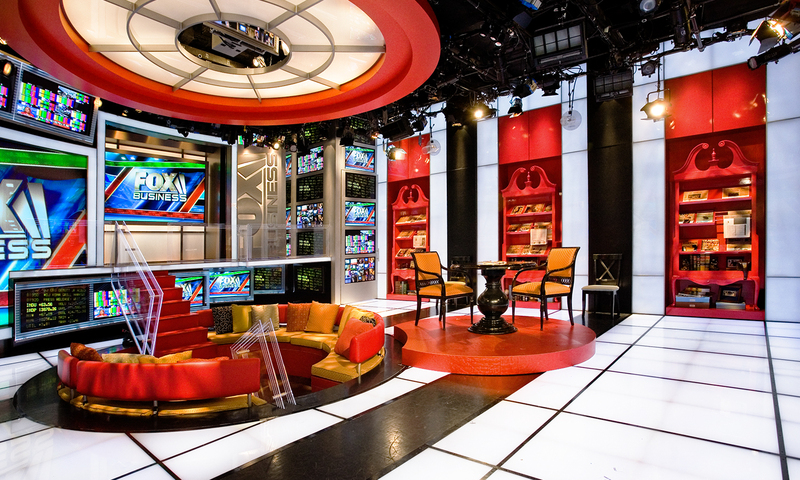 Eclectic and ultra-modern, the environment reflects the extroverted personality of the FOX franchise.